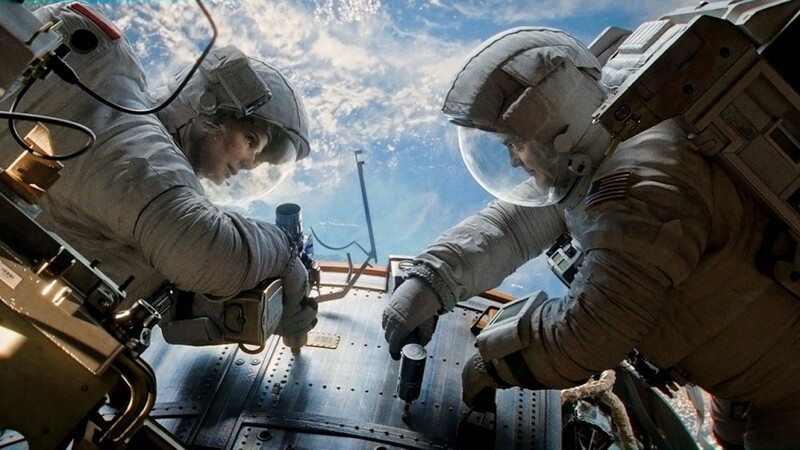 If ‘Gravity‘ was the last movie I saw before I died, I would die happy. This is hands down, the best film of the year so far, and quite possibly the best film of the last several years. Alfonso Cuaron has come back with a vengeance after a seven year hiatus. Cauron directed ‘Children of Men‘ and the third ‘Harry Potter‘ film to name a couple. I know all of you have seen the trailer for this film, and let me just say, you’re in the for the most thrilling ride of your life. George Clooney plays a veteran astronaut named Matt Kowalksy who likes Hank Williams Jr. and telling wild stories to his past to Houston down below. He is the pilot of the rocket ship while scientist Ryan Stone (Bullock) is fixing a problem on the satellite. However, the Russians launched a missile at one of their own failing satellites, which has caused the debris to collide with other satellites and space stations that has caused a giant spread of debris traveling around Earth faster than a bullet, and it’s headed right for Kowalsky and Stone. Of course, the worst happens, and now the surviving two members of this mission are without a shuttle back to Earth and must get back to Earth somehow before their oxygen in their suits runs out. Through drifting through space without hooked on to anything, to colliding with other space stations, things are highly terrifying for the pair of astronauts. The film centers mostly on Bullock as she has only had six months of astronaut training and has to figure out how to navigate ships, put out fires in space, and come to terms that she might not make it back home. There are a few very emotional moments with her, where we completely feel how scared she is. And Cuaron’s camera never misses anything, let alone has more than 12 edits in the entire movie. Hell, the first 30 minutes of the film are all one continuous shot, and it will truly take your breath away. Clooney is very charming in this role as he is in every role and does a flawless job, but Bullock really shines here as she shows every emotion we would all go through in a horrible situation like this one. I have no doubt that she will be nominated for an Oscar for this role, and if she wins, well she deserves it. The effects are some of the best effects I’ve ever seen on screen. I honestly can’t tell if they actually shot the film in space above Earth with real space crafts, or if there was any use of special effects. It’s that good. Of course there are special effects, but you will never be able to tell. Every shot of the film, could be paused and framed, and put up in an art gallery. It’s that beautiful. And if you see this movie, which I highly suggest you do, see it in IMAX 3D. Yes, I said 3D. 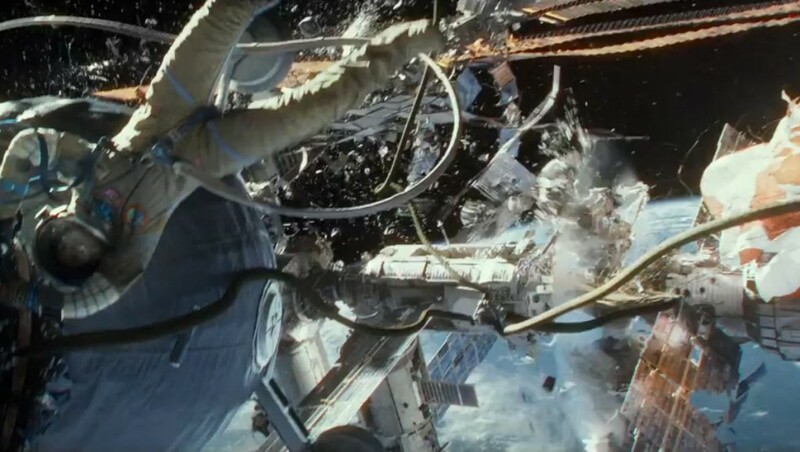 I am not a fan at all of 3D, but ‘Gravity’ has the best 3D effects and picture I have ever seen in a film thus far. If every film that said it was 3D, was this good, I would be a fan of 3D. Steven Price composed this monumental score for ‘Gravity’ that will truly terrify you and make your hairs stand on end. It’s the perfect and unrelenting score for a film like this. If you see one movie for the rest of the year, make it ‘Gravity’. It’s the perfect film. Almost 20 Minutes of Lost “2001: A Space Odyssey” Footage Found!!! This entry was posted on Thursday, October 3rd, 2013 at 6:42 pm	and is filed under Film, News. You can follow any responses to this entry through the RSS 2.0 feed. You can skip to the end and leave a response. Pinging is currently not allowed. When I saw the initial trailer (teaser, I think? ), everyone in the theater, including myself, laughed because it looked so stupid. Turns out it’s supposed to be the best moview ever, who knew? « The Multi Media Men Podcast #10 – ‘In The News’!! !